The merry season is here! It will be exciting, fun, and a ‘battlefield’ (drawing inspiration from the movie Confessions of a Shopaholic). It will be a very busy season wherein roaming around the city will consume more hours to your already long drive or commute. Going to the malls would require you to bring extra patience to hail a cab, ride a public transport or look for those precious parking slots. Expect higher than usual bank transaction volume, crowded department stores and long lines just to satisfy that craving of yours from your favorite restaurant! You have a choice to practice your warfare skills or choose to become more passive and modern just by going online and mobile to shop. This country of more than 100 million tech-savvy Filipinos now have access to online alternatives to the usual or traditional shopping and dining experience. With an average eating frequency of 4 times a day, we Filipinos surely tried so many options just to feed our appetite for good food. We can walk quickly to nearby coffee shops just to get that cup of hot latte or sweet frappuccino matched with cookies or doughnuts. Fast food joints are everywhere to feed us with pure beefy burger goodness with fries or that juicy and symbolic fried chicken of the Philippines while local malls are home to a mesmerizing number of dining options for us. And talking about options, food delivery is not new to us Filipinos. Your favorite fast food joints and those mid to high-end restaurants in the metro delivers food to offices or at the comforts of your own home when you call their food delivery hotlines. And recently, we have this tech-driven food delivery service that was considered as 2016’s big disrupter of food retailing and food service. Familiar with online food courts and online food ordering platforms? 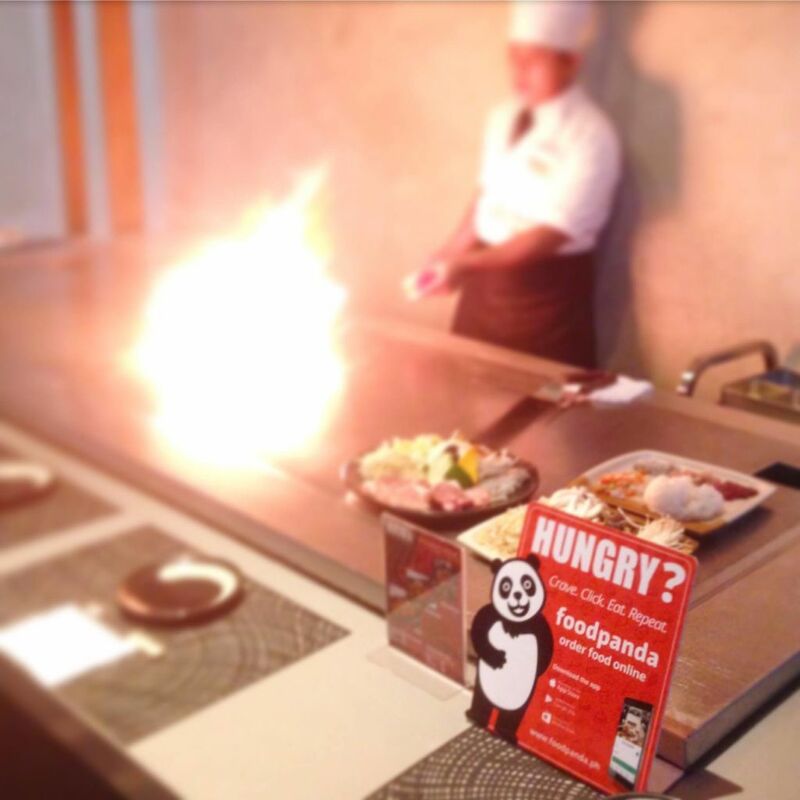 Have you tried ordering your favorite food through an app or a website? 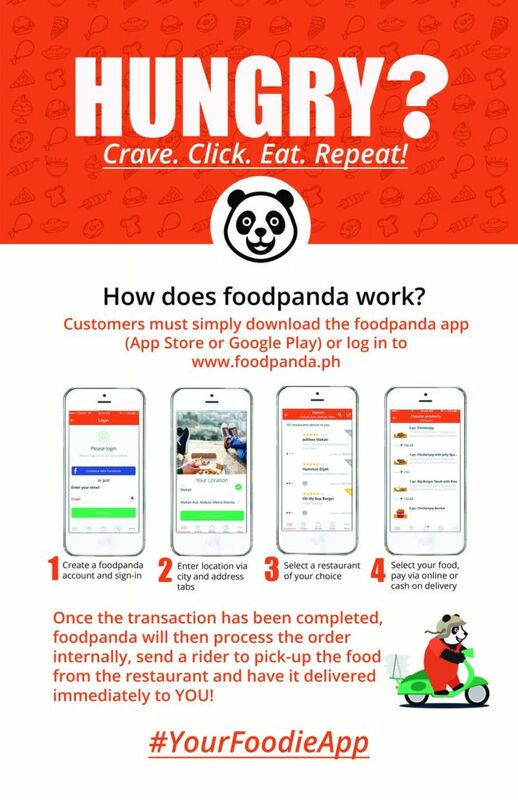 foodpanda, #YourFoodieApp, is the world’s leading online food ordering platform and it is already available in the Philippines since 2014. It is online and mobile (available through the Apple App Store or Google Android Play Store). Using it is as easy as you crave, click, eat and then repeat. It’s like your cab hailing app with a ‘good food delivered to your doorstep’ twist. 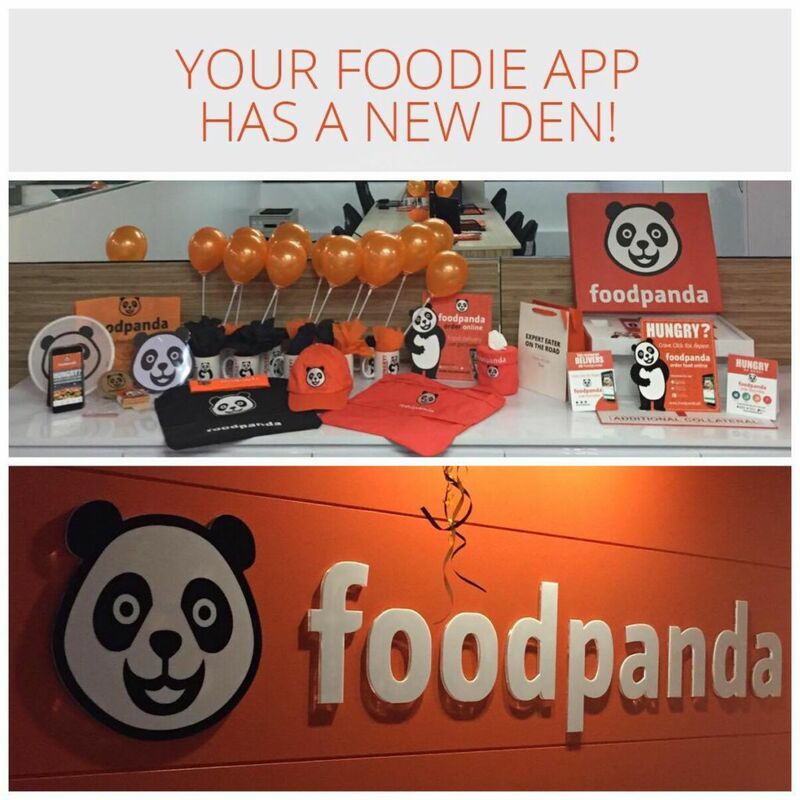 Download the foodpanda app now or visit www.foodpanda.ph to know your next great meal adventure. Happy craving!